Reach More Customers & Boost Your Sales! Comparison shopping engine product feed management system for magento, zencart, bigcommerce, opencart, shopify etc. “Datafeedware”, a top leading team managed more than 500+ product feed system for a diverse platforms and ecommerce shopping carts. Product feed system used in various platforms like shopping search engine, marketing places and comparison shopping engine. Why to choose product feed Management? How to start product data feed management? How to choose right platform for feed marketing? How much Feed Marketing was effective? Search engine product feed management system used for google merchant center and bing ads. Feed your e-commerce product data to Amazon, Newegg, Sell, eCrater, Pricefalls, Shophandmade and etc. Prove your product better than competitor's product by Shopzilla, PriceGrabber, and eBay, etc. 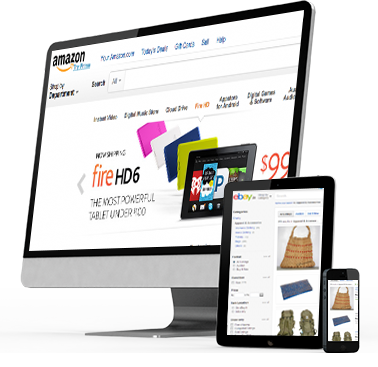 E-commerce product data feed solutions for search engine, marketplaces and comparison shopping engine.